So yes, the Sunday Things is back. The exciting bit of the Bullet Time stuff in the Matrix was the background. 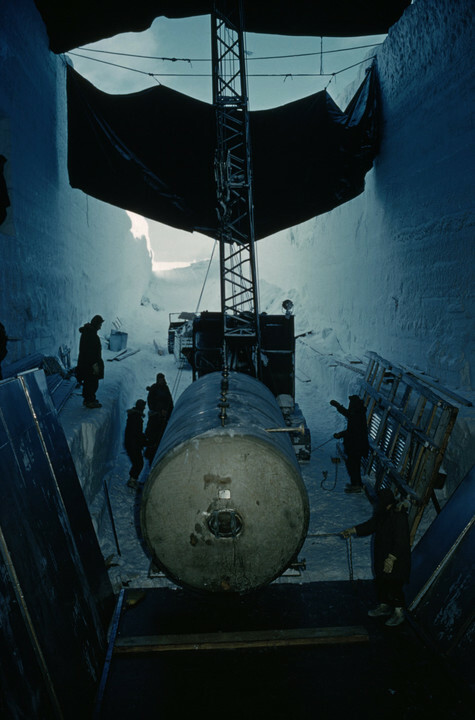 Greenland's receding icecap to expose top-secret US nuclear project - a decidedly cold Cold War base buried beneath the Arctic ice, with chemical, biological and nuclear waste that was assumed to be hidden for a frozen eternity. There's a terrifyingly claustrophobic roomscale VR game in this somewhere. ... and a Snowman in VR, courtesy of that mentioned-so-many-times-here Destinations. Would it be possible to have a mine in destination ? Since there are no light how would you capture it ? Seems like something like that would be better with full movement capabilities. Bring on the holodeck. Will it ever be possible (or is it possible now?) to move over a greater distance than your living room? Or will we be forever stuck in a chair with movement by controller for that? Maybe a VR arena sort of like paint ball places? I still haven't tried a Vive so I'm not sure what's possible now..
Now I want to explore some mines! For larger-scale movement in roomscale VR, there are two big solutions right now. The first is point-and-click teleportation - sounds disorienting, but works suspiciously well. Also avoids issue with vection inducing motion sickness, with many implementations having just a brief 'blink' as you go from one place to another. The other involves accelerating and moving the player around by pointing a controller where you want to go. Can work well, but can easily make people puke. Google Earth VR does some interesting stuff with restricting the field of view when moving and having a stationary-relative-to-your-room grid fade in around the edges - it helps a lot, but still causes issues in some people. Me? It turns out I'm completely immune to motion sickness. But I fight for those who suffer! Hmm, perfectly sensible.. Thanks for the info! I'll have to give this a try one of these days.